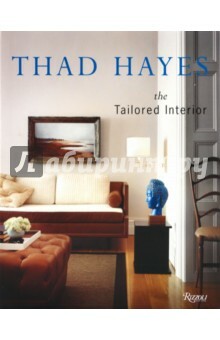 Since establishing his office in New York in 1985, Thad Hayes has become one of the most sought-after young interior designers. As the twenty-two residences here show, he is noted for light-filled interiors characterized by calm colors, quietude, and elegance. His interiors embrace the period and the modern, significant objects and simple ones, furniture he finds and pieces he designs. Hayes&apos;s rooms resound in meditative understatement but are not afraid of being daring. From a penthouse on Central Park, a Deco duplex on Park Avenue, or a pied-a-terre at the Pierre Hotel to a Palm Beach retreat and Hamptons hideaway, his designs are remarkable for their symbiotic sensitivity to the client and his own subtle, extraordinarily beautiful aesthetic. Литература на английском языке.